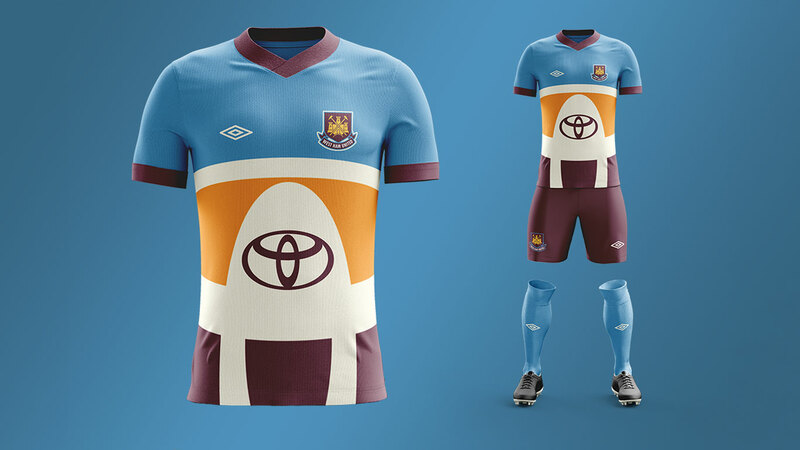 “What if car brands designed football kits?” It’s an unlikely question, but it’s one posed by the team behind the Giffgaff Gameplan car insurance comparison site. Truth is, we get dozens of emails a week from companies hoping to gain some exposure in exchange for the results of a survey or a news story, and most are either discarded or greeted with a polite “no”. 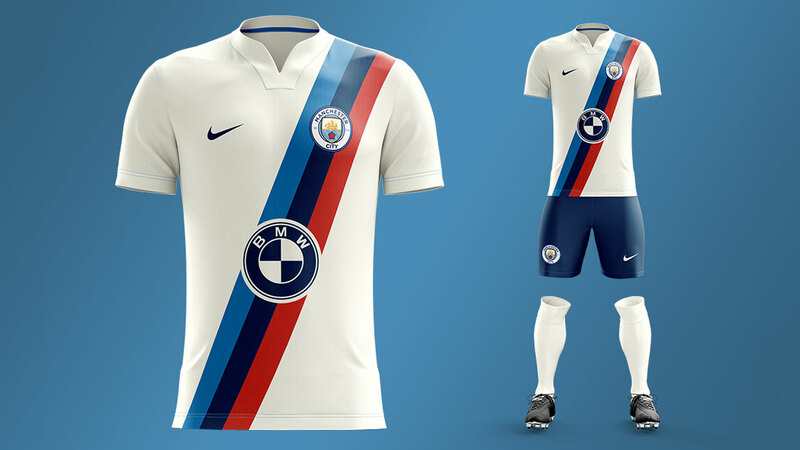 But we rather like the design work that’s gone into these football kits, so we’ve created a short gallery to showcase Giffgaff’s efforts. You’ll have to bear with us here, because Giffgaff’s approach isn’t straightforward. 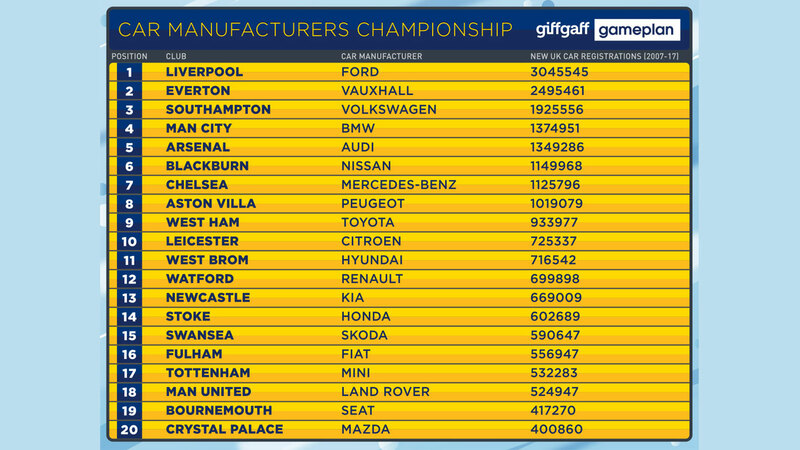 The company has based the Premier League table on the performance of each team based on their best associated car brand. The greater the number of sales, the further up the league table you go. Looking at the fanbases of the teams, Giffgaff found an appropriate manufacturer using YouGov’s brand profiling tools, Google Trends and Google’s autocomplete feature. It’s not exactly a watertight approach, but it does mean that Aston Villa, Blackburn and Fulham are back in the Premier League. Sorry, Burnley, Brighton and Huddersfield fans. So, what of the top 10 in the car manufacturers’ championship? Well, the eagle-eyed among you will have noticed that Manchester United are languishing down in 18th place, but Giffgaff chose to include the Red Devils as “the aesthetics worked so well for the combination”. 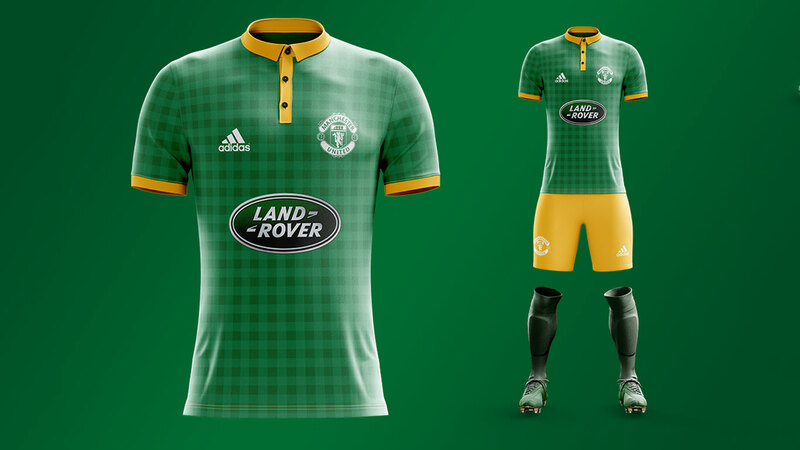 That’s as maybe, but United playing in green? Really? 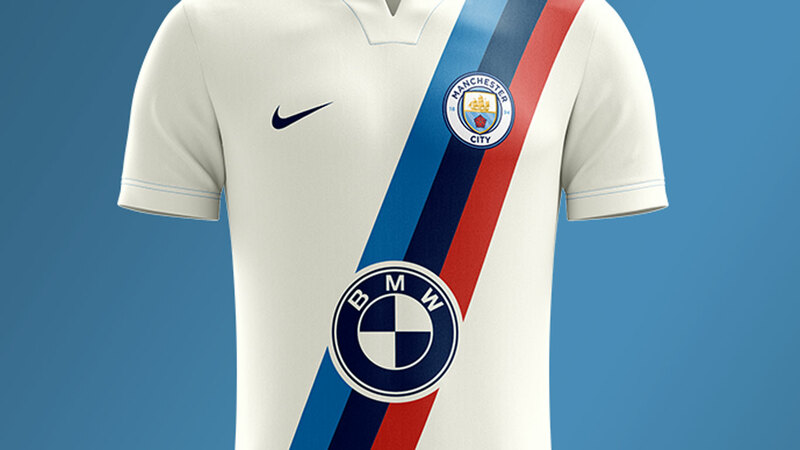 Today, you’d associate the club with Chevrolet, but according to Giffgaff, “Land Rover’s combination of size, speed and power has helped it to become a reliable figure in the motor industry, much like Manchester United. The Red Devils dominated the English game in the 90s and early 2000s and continue to vie for honours today.” Reliable? Best not look at the results of those reliability surveys, then. Citroen has been a partner of Arsenal Football Club since 2008, but Giffgaff has selected the French company for Leicester City as both companies “have suffered financial issues in recent times and managed to bounce back”. 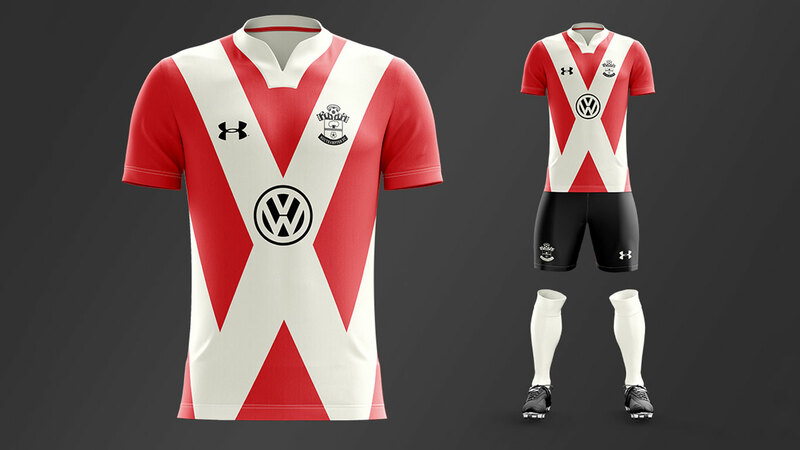 Hmm, we rather think the design work is better than the rationale. Villa fans rejoice, because you’re back in the Premier League, and you didn’t have to face the dreaded play-offs. But, wait, what’s this? 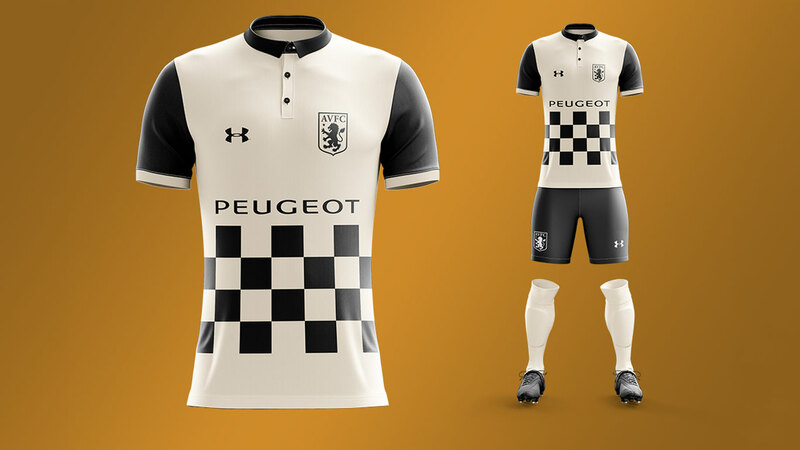 Peugeot on the shirt? Surely that’s the preserve of Coventry City? “Aston Villa and Peugeot have both suffered difficulties recently. Villa slipped into the Championship in 2016 after years in the top flight, while Peugeot has been through a restructuring plan as it strives to remain competitive in a tough marketplace,” says Giffgaff. 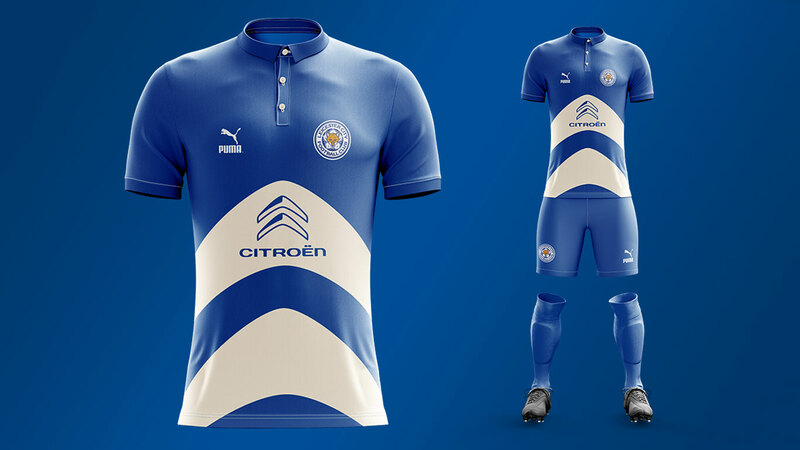 Whatever, we like the cycling jersey-inspired shirt. Still shouts Coventry to us, mind. You look at this shirt and think one thing: Germany. Which is rather apt, given that Giffgaff has chosen to associated Chelsea with Mercedes-Benz. 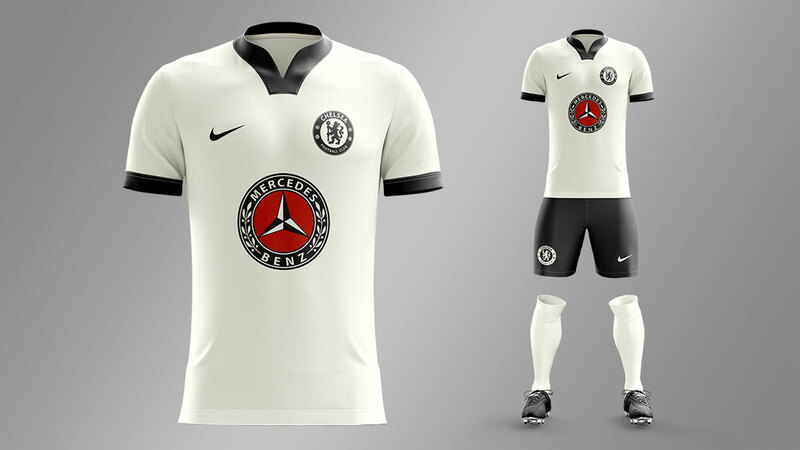 “Chelsea’s big transfer funds and luxurious playing style correlate neatly with Mercedes-Benz,” says Giffgaff. Luxurious playing style? Has Antonio Conte ever described Chelsea as playing luxurious football? And what exactly is luxurious football? Answers on the back of a discarded prawn sandwich wrapper. “As one of the six teams that have won the Premier League, Blackburn has a history of success, but has now fallen down to the third tier. 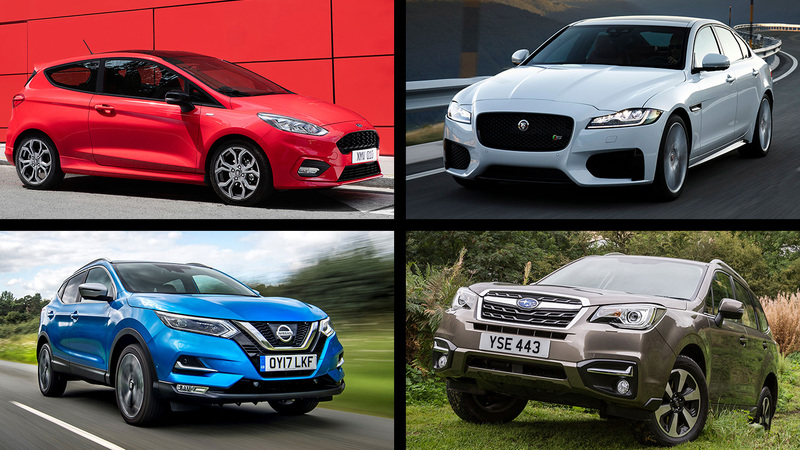 On the other hand, Nissan remains the fifth most popular car brand in the UK according to the Society of Motor Manufacturers and Traders (SMMT) and we’re certain they could use some of the car brand’s good fortune,” says Giffgaff. This is starting to look like a lost cause, like Alan Pardew clinging on to his job at West Brom, or a chicken on the way to a processing plant owned by Venky’s, the company in charge of Blackburn Rovers. “Arsenal and Audi are both well known for their penchant for luxury, with Audi’s stylish cars comparing favourably with the silky skills of Dennis Bergkamp, Thierry Henry etc.” It’s that ‘luxury’ word again, although club legend Ian Wright might prefer ‘lazy’ and ‘lethargic’, given his comments following Arsenal’s defeat against Manchester City. 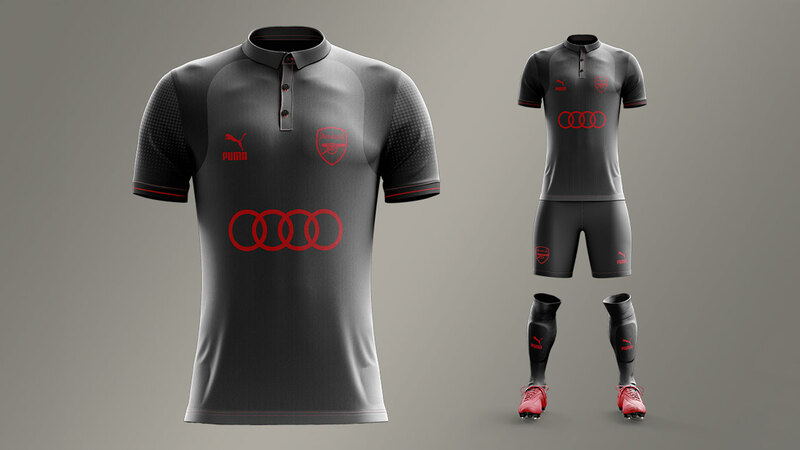 It’s a nice kit, but saying it was inspired by “black Audi car designs such as the A3 and A4” is tenuous in the extreme. 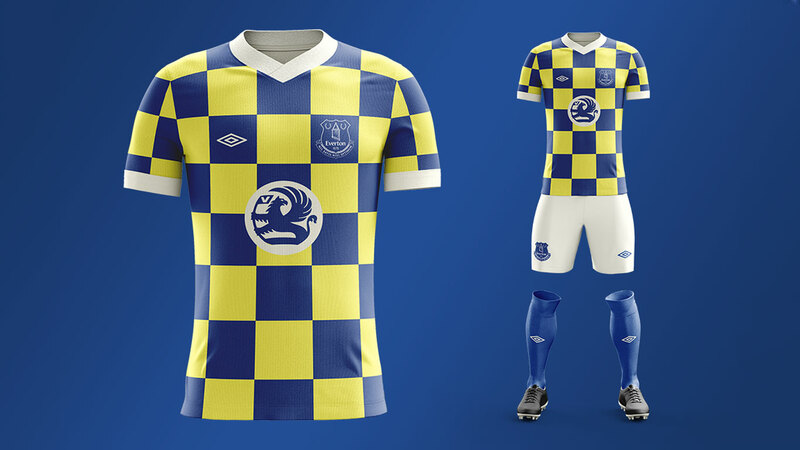 This one bears a startling resemblance to the Crystal Palace shirt of the 70s and 80s. 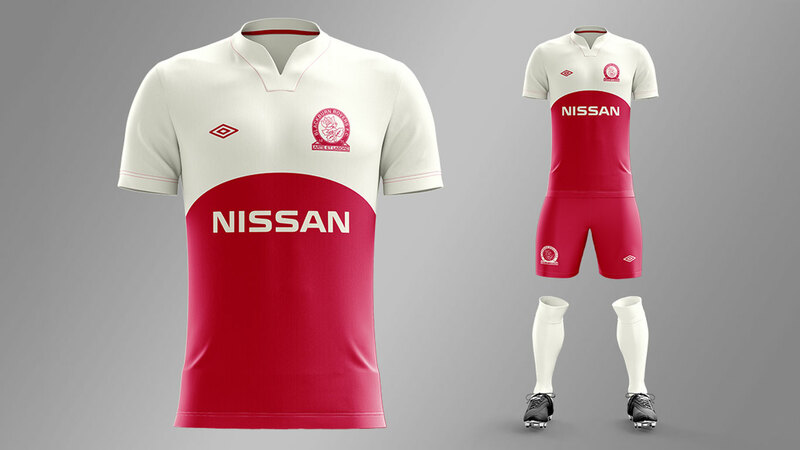 Alternatively, it has the whiff of the kit worn by the Allies in Escape to Victory. Either way, it’s a Michael Winner. One to file under: ‘It shouldn’t work, but it does’. Everton fans may have given up hope of a top-six finish this season, but Giffgaff puts the Toffees in a Champions League position. The inspiration is – wait for it – based on the fact that “Vauxhall Astras are commonly used as police cars in the UK.” Not that this matters, because you’ve already clicked off in search of the latest meaningless awards ceremony or survey. Call the cops: we’ve been accused of committing a crime against valuable time. 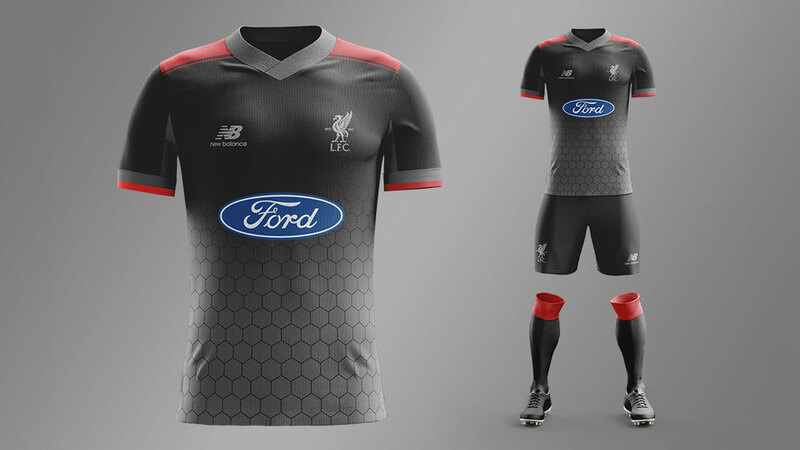 The Merseyside Club is owned by American owners and America is the home of Ford. Which is enough to put Liverpool at the top of the league.